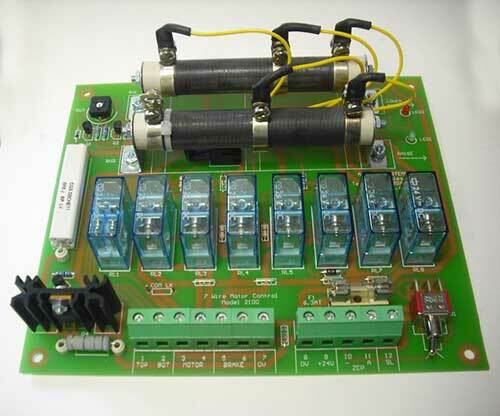 Seven wire motor control PCB used to control a fire safety curtain. Board controls the raising and lowering of fire curtain. In the event of total power failure an eddie current break controls the lowering of the curtain.